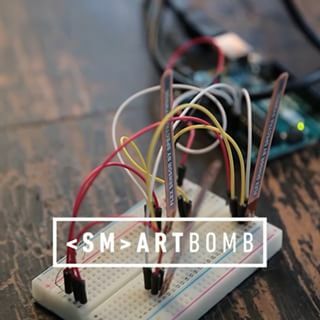 SmartBomb Labs is a collaboration with Urban Arts Partnership bringing together teams of middle and high school students and teachers together with hip-hop teaching artists, and designers and technologists from the NYU MusEDLab in a 6-week design curriculum to solve challenges at using the arts and technology. We launched our inaugural cohort in summer 2015. Watch the videos below to learn about our process, teams, and outcomes.